PARIS, France, June 26, 2011 (ENS) – Extraordinary natural areas in Kenya, Australia, Japan and Germany that deserve the highest level of protection have been added to the UNESCO World Heritage List by an international panel of government representatives at its annual meeting in Paris. The Lakes System in the Great Rift Valley in Kenya, the Ningaloo Coast in Australia and the Ogasawara Islands in Japan were all inscribed on the World Heritage List Friday. A World Heritage forest site in Eastern Europe was expanded to include Germany, and cultural sites with strong environmental values in Senegal, Jordan and China were also listed by the World Heritage Committee. A total of 35 nominations, including natural, cultural and mixed properties are under review by the committee, which is holding its 35th session at UNESCO Headquarters in Paris until June 29. The International Union for the Conservation of Nature, IUCN, the independent advisory body on nature to UNESCO, recommended three sites for inscription after conducting comprehensive evaluations of the natural values of 13 nominated sites. All three were approved by the panel. The Kenya Lake System in the Great Rift Valley, a natural property of outstanding beauty and diversity was the first to be added to UNESCO’s World Heritage List during the current committee session. The site covers three inter-linked shallow lakes – Lake Bogoria, Lake Nakuru and Lake Elementaita – in basins on the floor of the Great Rift Valley, which runs on a north-south line through Kenya. Thirteen globally threatened bird species are found on the 32,034 hectare site, which has some of the highest bird diversities in the world. “The three lakes are an integral part of one the largest bird migratory routes in the world sustaining 75 percent of the global population of the lesser flamingo, supporting one of the major breeding colonies of the great white pelicans and providing a vital wintering ground for over 100 species of migratory birds,” said the IUCN. “It is wonderful to see these spectacular lake sites in Kenya, and their rich bird life, achieving recognition as natural sites of the highest global importance,” says Tim Badman, director of IUCN’s World Heritage Programme. “We especially welcome this inscription as the first natural World Heritage Site listed in Africa since 2007,” he said. Human encroachment threatens the fragile ecosystems and water quality of these lakes. With more than 360,000 inhabitants, Nakuru, the provincial capital of Rift Valley province and Kenya’s fourth largest city, is located within a kilometer of Lake Nakuru’s northern shore. Contamination caused by surface run-off in the wet season, sewage and industrial pollution has tainted the lake, which is also at risk of drying up due to climate change and the clearfelling of surrounding forests. 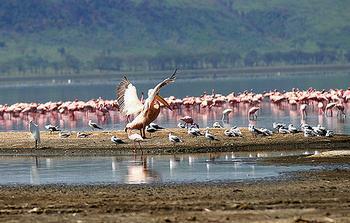 All three of the rivers that feed Lake Nakuru now are dry. The rivers once flowed from the Mau forest but legal and illegal logging has taken great bites from the forest. What water that does enter the rivers is used for drinking and agriculture before it reaches the lake. 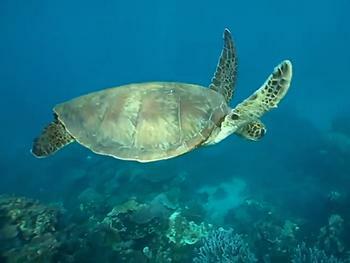 The Ningaloo Coast marine and terrestrial site includes one of the longest near-shore reefs in the world. The rich marine life includes some 220 species of coral and soft and hard corals. The annual coral spawning at Ningaloo Reef attracts the largest number anywhere of whale sharks, the largest fish in the world. Sea turtles swim with more than 500 species of tropical fish, manta rays, sea snakes, whales, and a dugong population of about 2,000 animals. The site stretches for more than 200 kilometers along the westernmost point of Western Australia’s coast. The terrestrial part of the 604,500 hectare site features an extensive karst system and network of underground caves and subterranean water courses, supporting a variety of rare species. “The coast tells an extraordinary story of biological isolation, climate change, the movement of continents and environmental conservation,” said Badman. The new World Heritage site includes Ningaloo Marine Park and Cape Range National Park, as well as the Learmonth Air Weapons Range, Bundegi and Jurabi coastal parks, the Muiron Islands and Muiron Islands Marine Management Area. Western Australia Premier Colin Barnett and Environment Minister Bill Marmion welcomed the World Heritage listing and said it gives proper recognition of the area’s outstanding natural beauty and biological richness. But Royal Dutch Shell, one of the world’s biggest oil companies, in March announced plans to explore for oil and gas in the Exmouth basin near the sensitive protected area. Shell has applied to drill an initial test well to a depth of 5,650 meters (3.5 miles). The company said it expects to drill the first exploration well as early as September. Shell said it expects to find gas rather than heavy oils and is assembling a globally deployable well-capping system for the project in case of a blowout. “This system would significantly limit duration of any loss-of-well control scenario, reducing the volume of condensate entering the environment and reducing potential impacts to the environment,” the company said in a statement. The World Heritage Committee has inscribed Ogasawara Islands, located some 1,000 kilometers south of Japan’s main archipelago, on UNESCO’s World Heritage List for the wealth of their ecosystems, which reflect a wide range of evolutionary processes. The site numbers more than 30 islands clustered in three groups and covers surface area of 7,393 hectares. The islands are inhabited by more than 140 endemic plants and animals, including the Bonin flying fox, a critically endangered megabat. Some 195 endangered bird species and 441 native plants have been documented on the islands, whose waters support numerous species of cetaceans, fish, and corals. 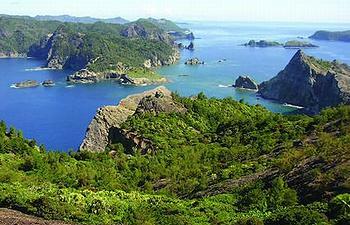 The news of the Ogasawara Islands’ World Heritage status was greeted with applause and shouts of joy on the islands. In the village of Ogasawaramura, Mayor Kazuo Morishita immediately held a press conference, the “Yomiuri Shimbun” newspaper reports. “As a resident of this village, I’m proud the Ogasawara Islands were recognized by an international body. There’s no doubt tourism will get a boost. I want to show the whole world the wonder of these islands,” he said. The only way to get to the islands is via a ferry that runs only once every six days. The village expects tourist numbers to rise about 30 percent from the current 14,000 a year over the next two years due to the World Heritage designation. The World Heritage Committee has included the ancient beech forests of Germany as an extension to the World Heritage site of Primeval Beech Forests of the Carpathians found in Slovakia and Ukraine. “The ancient beech forests of Germany represent examples of on-going post-glacial biological and ecological evolution of terrestrial ecosystems and are indispensable to understanding the spread of the Fagus beech in the Northern Hemisphere across a variety of environments,” said the panel. The new inscription represents the addition of five forests totaling 4,391 hectares that are added to the 29,278 hectares of Slovakian and Ukranian beech forests inscribed on the World Heritage List in 2007. 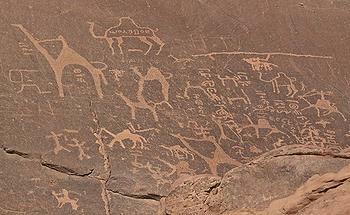 The Wadi Rum Protected Area, a mixed natural and cultural site added to the list today, is located in the southern part of Jordan close to the border with Saudi Arabia and forms a major part of the Hisma Desert. The varied desert landscape is the product of millions of years of geological processes, and thousands of years of interactions between humans and nature in a hostile desert environment. The 74,000-hectare site features narrow gorges, natural arches, towering cliffs, ramps, massive landslides and caverns. Petroglyphs, inscriptions and archaeological remains in the site testify to 12,000 years of human occupation and interaction with the natural environment. The combination of 25,000 rock carvings with 20,000 inscriptions trace the evolution of human thought and the early development of the alphabet. The site illustrates the evolution of pastoral, agricultural and urban activity in the region. Saloum Delta in Senegal with its vestiges of more than two millennia of human occupation has been inscribed on UNESCO’s World Heritage List. Fishing and shellfish gathering have sustained human life in the 5,000 square kilometer site, which is formed by the arms of three rivers. The site encompasses brackish channels, 200 islands and islets, mangrove forest, an Atlantic marine environment, and dry forest. The site is marked by 218 shellfish mounds, some of them several hundreds meters long, produced by its human inhabitants over the ages. Burial sites on 28 of the mounds take the form of tumuli where remarkable artifacts have been found. “They are important for our understanding of cultures from the various periods of the delta’s occupation and testify to the history of human settlement along the coast of West Africa,” said the World Heritage Committee. Inscribed as a cultural site, the West Lake Cultural Landscape of Hangzhou has inspired famous poets, scholars and artists since the ninth century. The West Lake and the hills surrounding its three sides have been enriched with numerous temples, pagodas, pavilions, gardens and ornamental trees, as well as causeways and artificial islands. 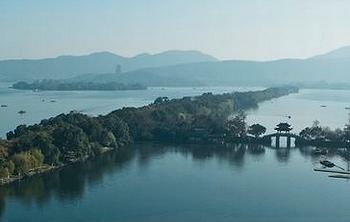 These additions were made to improve the landscape west of the city of Hangzhou to the south of the Yangtze River. The Hangzhou government pledged to continue its policy since 2002 of free public admission to the West Lake’s more than 130 tourist spots, the state news agency Xinhua reports. The city government said the site’s new status will offer greater protection against negative impacts from excessive tourism and commercial development. The World Heritage Committee meets once a year, and consists of representatives from 21 of the governments that are Parties to the World Heritage Convention elected by their General Assembly. The Rio Platano Biosphere Reserve in Honduras and the Tropical Rainforest Heritage of Sumatra in Indonesia were added to the Danger List during this meeting. The committee also removed India’s Manas Wildlife Sanctuary from the Danger List. The 21 States Parties of the current World Heritage Committee are: Australia, Bahrain, Barbados, Brazil, Cambodia, China, Egypt, Estonia, Ethiopia, France, Iraq, Jordan, Mali, Mexico, Nigeria, Russia, South Africa, Sweden, Switzerland, Thailand and the United Arab Emirates.